As a homeowner in the Washington, DC area, finding an HVAC contractor you can rely on is a crucial part of making sure your heating system performs efficiently and safely throughout the winter. At Service Doctors, we offer only the best in routine maintenance, repairs, and heating system replacement services. Our expert HVAC technicians are dedicated to providing you with the highest quality service throughout the year so that your heater works when you need it most. If you are looking for a new heating system, you may be overwhelmed by the many kinds of systems available. While there are many options out there, not every type of heating system is ideal for all homes in our area. This is the reason it’s important to get professional advice before you make a final decision. We recognize that buying a new heating system is a major purchase, and we have the experience and skills to help you choose which system is right for your home. 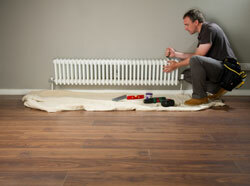 Our qualified HVAC technicians are highly trained to install and service all types of heaters. We understand that you have busy lives, so our friendly heating technicians will get the job done as efficiently as possible. Depending on how long you’ve owned your home, you may not know whether your current heating system is the most effective for the design and layout of your house. When you call one of our HVAC specialists to inspect or repair your heating system, we will also determine if your system is efficiently heating your home. You may not be aware that it could be time for a new heating system, so give us call today for our expert heating advice. Many homes are heated with furnaces or heat pumps, since they are known for generating safe and efficient heat. However, choosing the right type of system may depend on other HVAC components in your house, such as whether there is an existing network of ducts and vents, or if your home also needs an air conditioning system. Heat pumps heat and cool the home, whereas furnaces are strictly used for heat. In addition, there are many different models of furnaces and heat pumps on the market, so it’s best to call a professional HVAC contractor for advice on which system is the most efficient for your home. One of the fundamental reasons for having the most efficient heating system for your house is that it can cut down on overall heating costs. While installing a brand new system may cost some money up front, you will save more money in the end, because a newer and more efficient model will pay for itself in utility savings. Even if your current system is well–maintained and working at its optimal performance level, you may want to think about upgrading your system if your utility bills continue to increase every winter. We are glad to offer advice on the most energy efficient way to heat your home and provide information about heating system upgrades. We offer installation, repairs, and routine maintenance for some of the most energy efficient heaters on the market. At Service Doctors, we are committed to the highest level of service and quality. 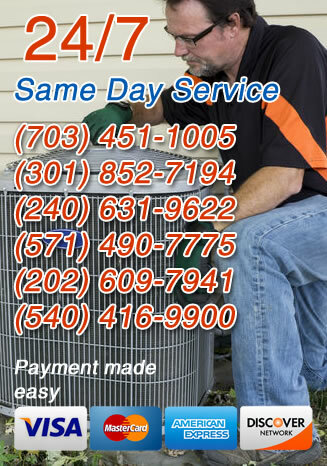 Whether you are looking for a new heating system, or for someone to take over the routine maintenance and repairs on your current one, our HVAC professionals proudly serve all of the Washington D.C. area. Call us today and let us know how we can keep your home warm and comfortable all winter long.